Why is Sterling smiling? Because he’s got Windows 9. It’s been a tough couple of weeks for Microsoft (ticker MSFT). On top of CEO Satya Nadella’s recent remarkable foot-in-mouth act over women in the workplace, there’s the strange case of the missing Windows 9 operating system. Before the introduction of Windows 10 two weeks ago, Microsoft had last introduced a new operating system back in 2012 with the unveiling of the unpopular Windows 8, a sequence of events that raises questions about Windows 9. Where is it? A Microsoft employee who briefly worked on the Windows 9 project, which was codenamed RobTheCustomer, or RTC for short, has told Bud Fox News that the mystery goes back to Donald Sterling’s sale of the Los Angeles Clippers to former Microsoft CEO Steve Ballmer. 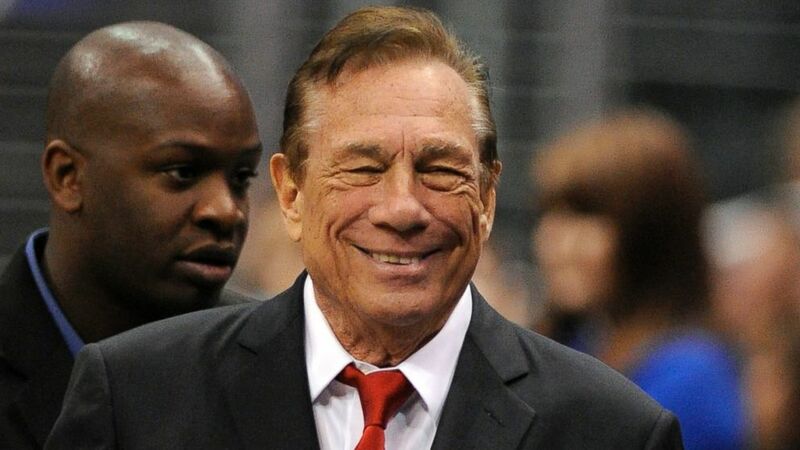 Sterling was the owner of the Clippers until his delicate flower of a lady friend V. Stiviano released an audiotape of Sterling exercising his right to free but unpleasant and incoherent speech in a way deemed unacceptable by the NBA. Steve Ballmer bought the team for $2 billion, a record price for an NBA franchise (the prior record, set weeks before the Clippers sale, was $550 million for the Milwaukee Bucks). This entry was posted in Business & Finance and tagged Donald Sterling, Microsoft, Steve Ballmer. Bookmark the permalink.